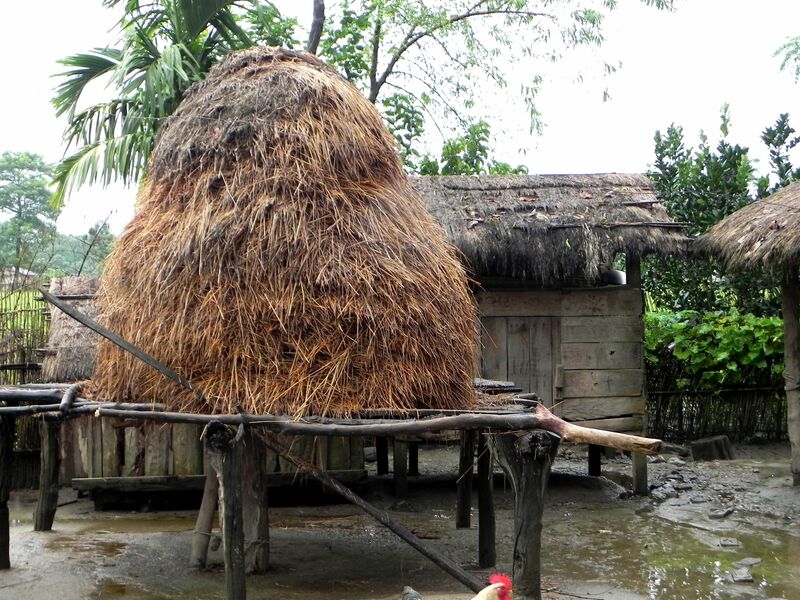 Chitwan Tharu Village takes you for a walk in the village Badrahani near the Chitwan National Park in Nepal. 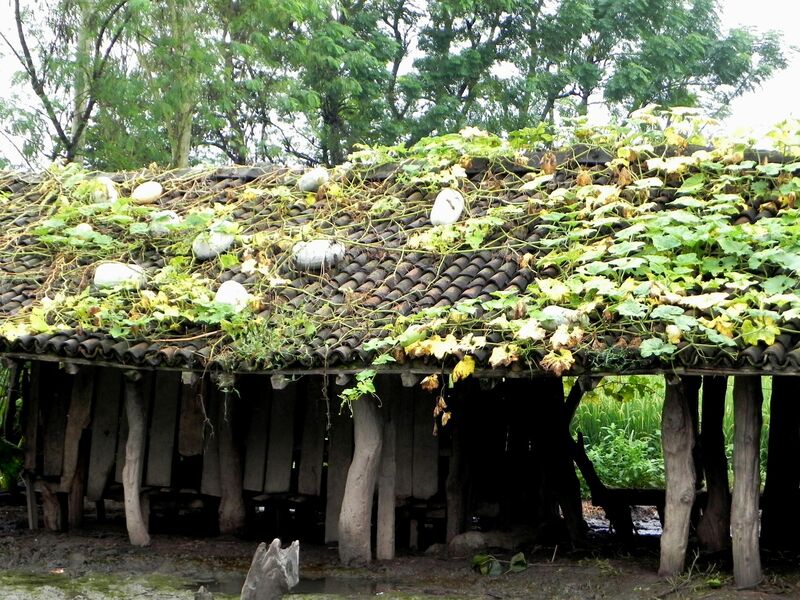 The area is famous for its unique inhabitants - Tharu people as well as wildlife and jungle safaris. 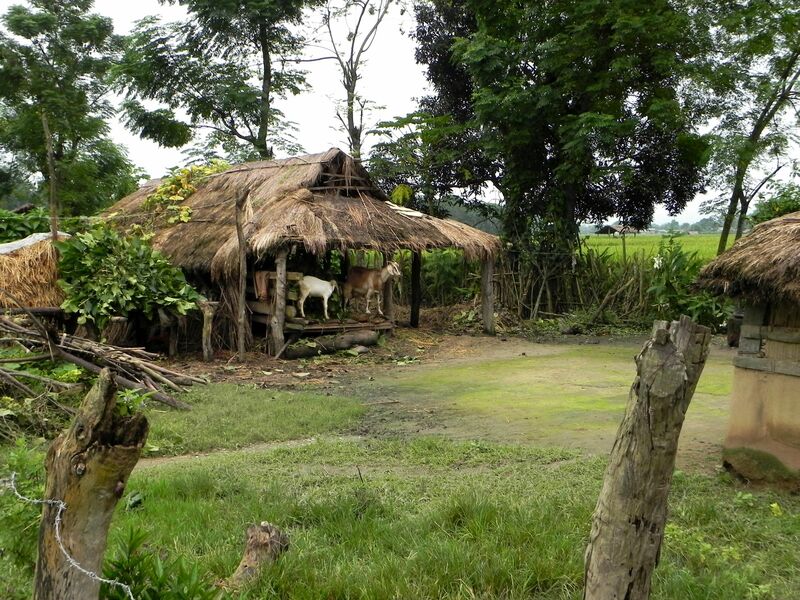 Chitwan National Park (previously known as the Royal Chitwan National Park) was formally established in 1973. 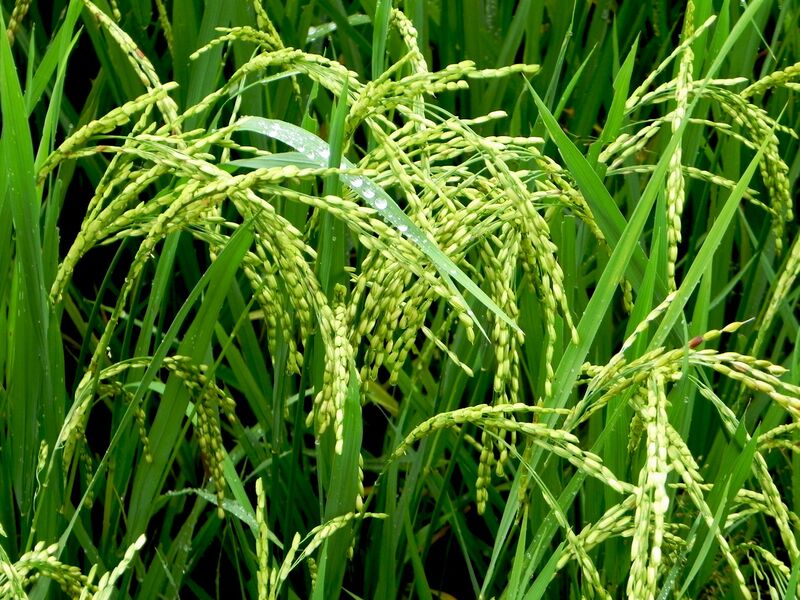 It covers an area of about 360 sq miles (932 sq km) located in the belt of Terai forests and grasslands at the foothill of Himalayan Mountains. For long this area was a favorite hunting ground for Nepalese Royalties as well as British rulers and high ranking officials. 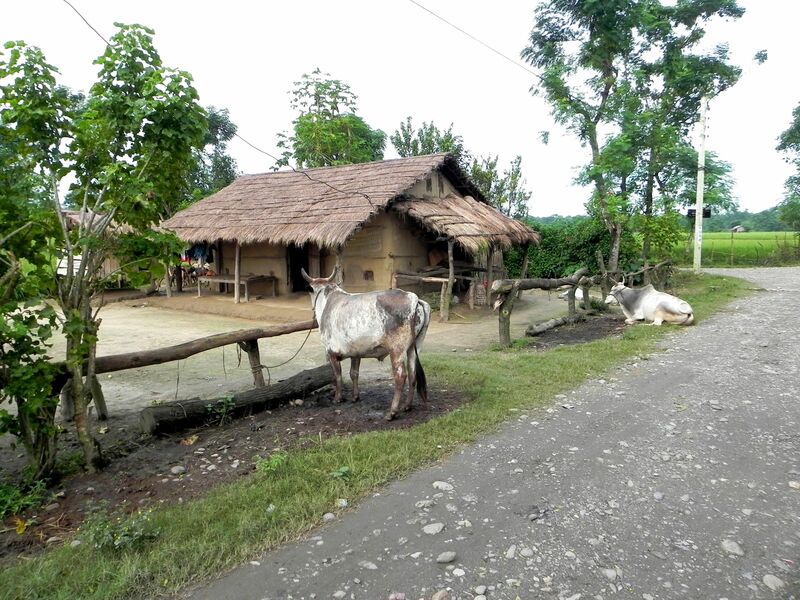 But the extraordinary biodiversity of Terai lands roamed by one-horned rhinos, Bengal tigers, leopards, elephants - to name only few, quickly turned against the nature. 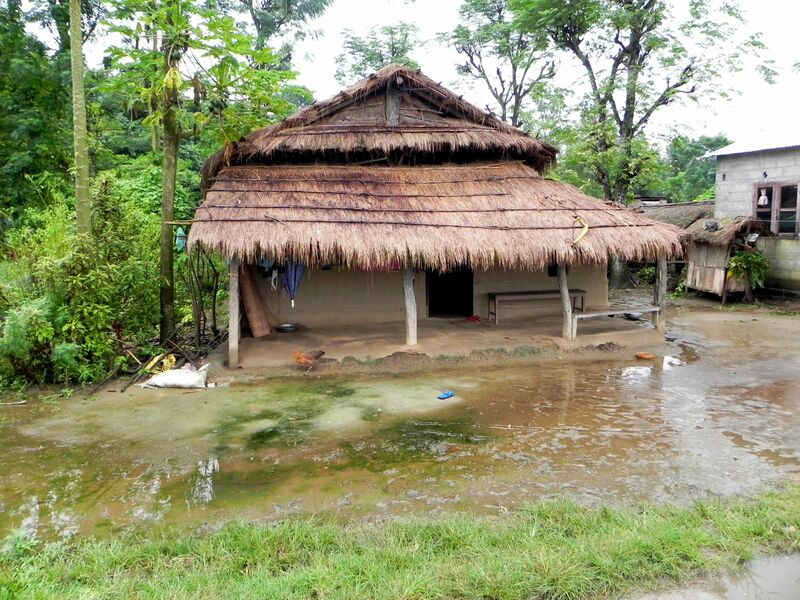 Widespread poaching, deforestation and human settlements encroaching into wild sanctuaries made a devastating impact on Terai lands. Large parts of jungles disappeared; wildlife has been decimated at an alarming rate…. In 1911, during just one bloody safari, British king George V and his entourage in an exhibition of “bravery” (that’s how it was called at that time) – managed to slaughter (as rightfully we will call it today) 39 Bengal tigers and 18 rhinos! The creation of the Chitwan National Park was an almost “last minute” effort aimed at preserving this paradise for the nature itself and for future generations. Frankly, it is a landscape of striking beauty. Just imagine an imposing Himalayan barrier made of famous Annapurna(s) peaks closing the horizon and then right at its foothills vast lowlands at an altitude of mere few hundred meters above the sea level. 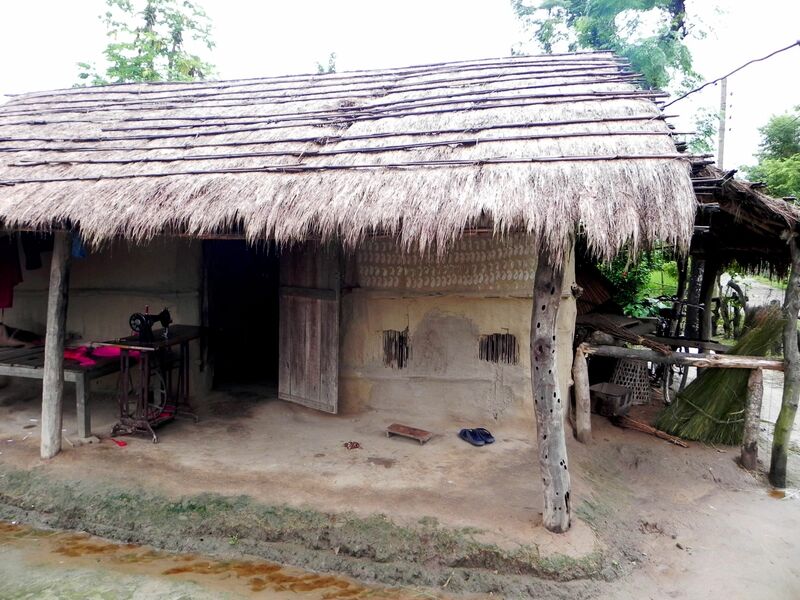 Typical Tharu house has large porch in front. This roofed open area is used for majority of daily activities. In our consciousness, the Himalayan Range lies somewhere in the Central Asia, at the northernmost end of the Indian Subcontinent, far from the ocean. But geologically the major parts of these lowland plains separating Himalayas from the ocean are formed by sediments carried from the mountains by the gigantic rivers – Ganges, Indus and Brahmaputra. And this abrupt change of the landscape’s shape dropping from the top of the World to the sea level takes place here in Nepal over a horizontal distance of a mere few tens of miles! Well, “since the beginning of time” (if not earlier) the sacred land of Terai was the homeland of Tharu tribes. These mysterious people are considered as descendants of the Buddha (there are some indications supporting this claim). Although very little is known about Tharus, it is clear that they lived here long before arrival of Indo-Europeans. Due to frequent heavy rains and flooding, hay must be stored above the ground. 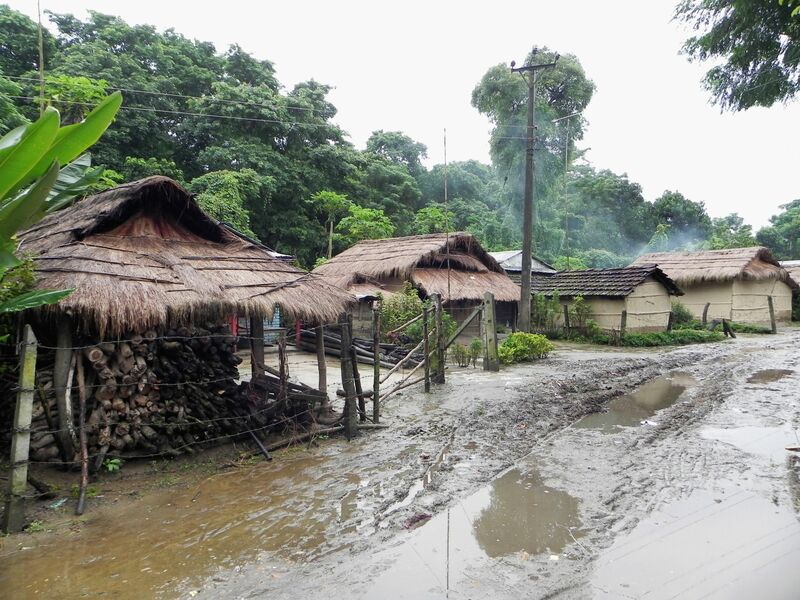 Indeed - mud is a dominating element of the village's landscape. 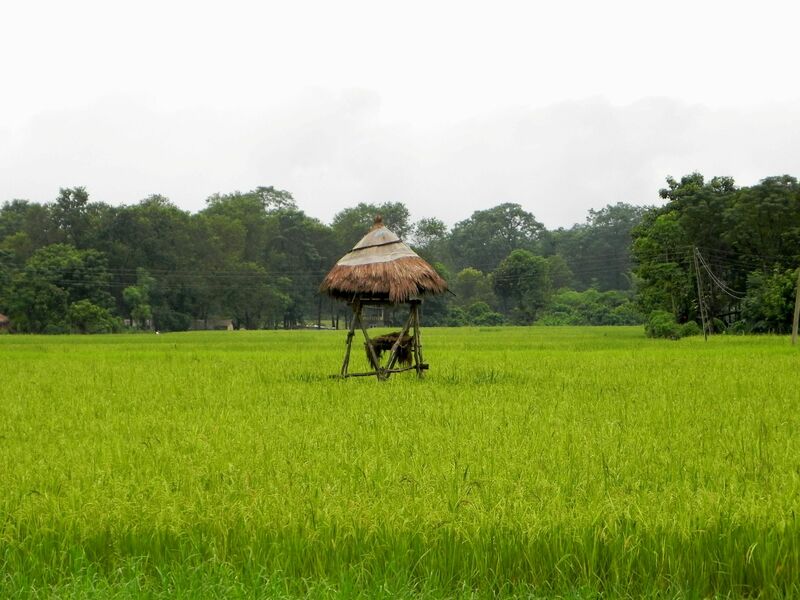 The name of Chitwan is derived from Tharu’s words “Chit” (meaning “dense”) and Ban (meaning “forest”). Indeed for millennia the area was covered by thick jungle-like subtropical forests intertwined with swaths of grasslands. 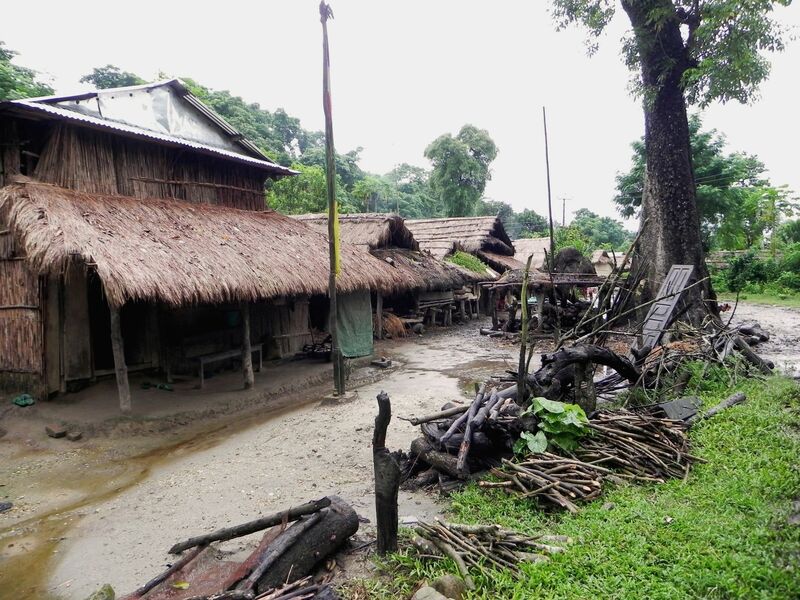 It was an isolated enclave with an “invisible” barrier reinforced by bloodsucking mosquitoes spreading deadly malaria, and to make it even more nasty - infested with equally bloodthirsty leeches and all kind of other more or less lethal and/or unpleasant “stuff”. Interestingly Tharu people seem to be immune to malaria (recent medical research points to genetic factors acquired by Tharus’ immunological system). Malaria was eradicated in late 1950’s “thanks” to infamous DDT, but the “collateral” damage was enormous as vast areas of jungle and most of what used to live there perished together with mosquitoes. Actually the latter are still giving signs of life! 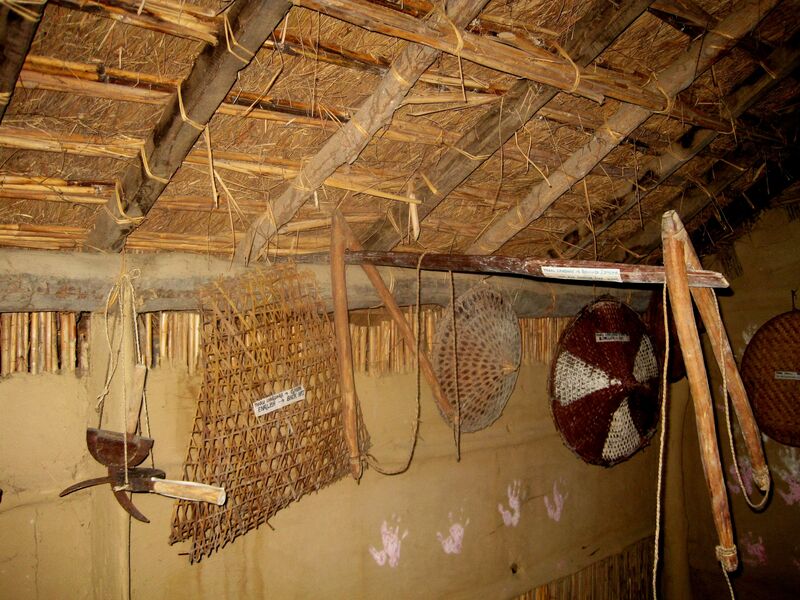 The Tharu Village (Badrahani) located near Sauraha (at the edge of the Chitwan National Park) is a sort of living museum, place where the time runs at the fraction of its normal speed observed in the Western Hemisphere. 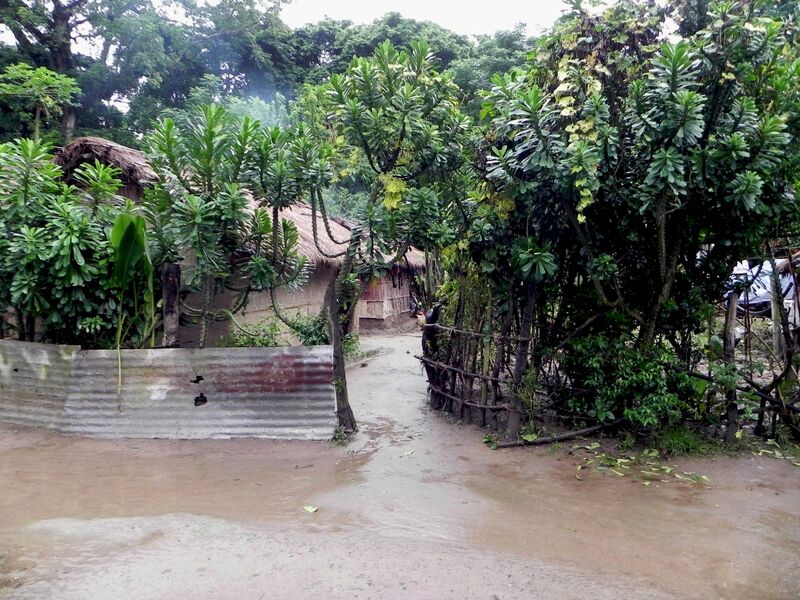 You can see mud & clay-built ochre-colored houses with thatched roofs. 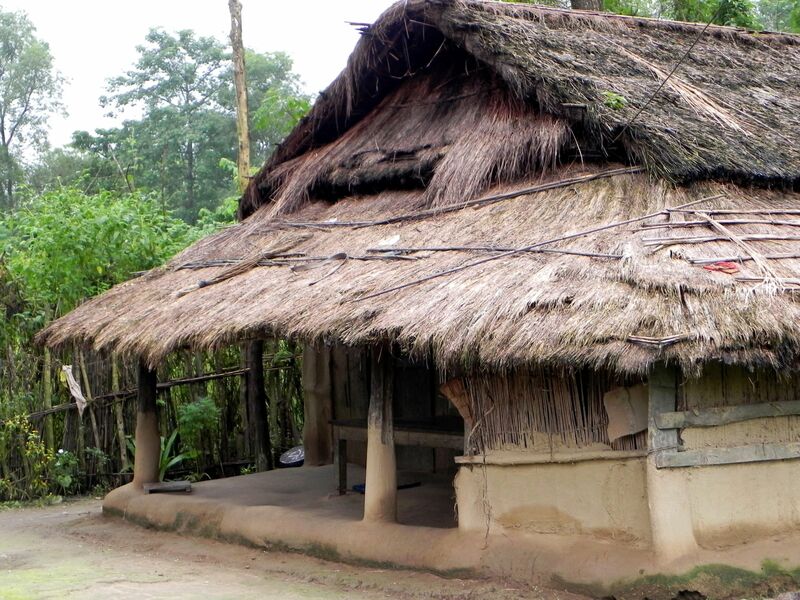 These simple, mostly one-room structures with no chimney and no windows seemingly have little to hide from the outside world. During a day, life takes place outside. 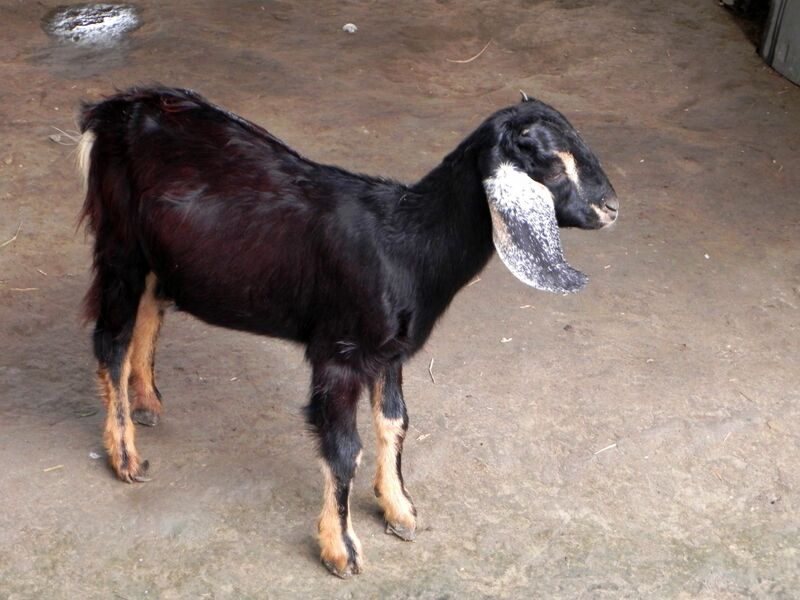 You may spot an old sewing machine on the porch, pots hanging above the fire, goats wondering around, barking dog making clear who is the boss there…. "Honeymoon Resort" in the middle of the rice field. At one moment our guide points at the little structure in the middle of the nearby field. At first glance nothing special, a sort of an open platform suspended on four poles and covered by a thatched roof. 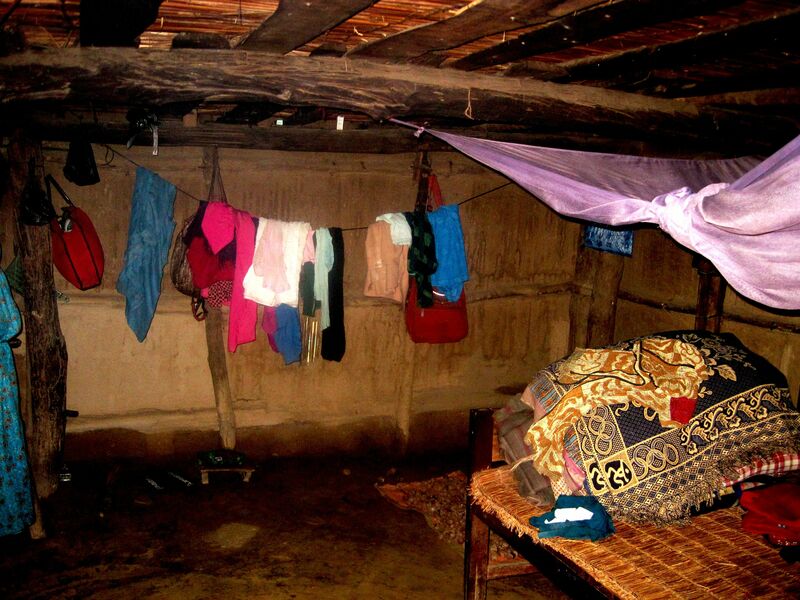 It turned out to be a “honeymoon-night” shelter - not surprising given usually crowded one-room houses…. Indeed it is a very thoughtful idea. Tharus for long have been living from hunting, fishing, gathering and cultivation, acquiring skills necessary to survive in this rough environment. They developed an enormous knowledge of wild medicinal plants, still successfully using them these days to cure various diseases. But even “frozen in the past” life may show some signs of thawing and that’s what is happening recently in Chitwan. Hoards of tourists attracted by wild safaris are visibly changing the lifestyles and habits of indigenous inhabitants. 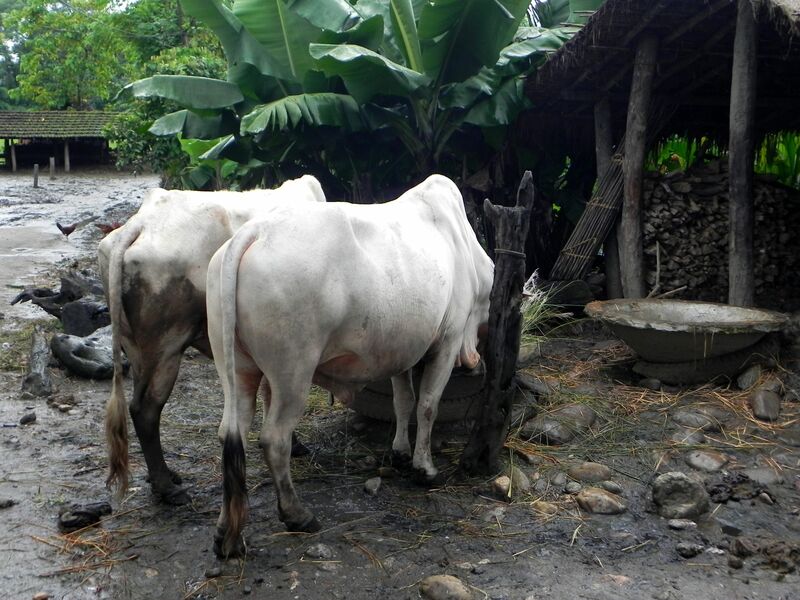 With the support of the Nepalese Government, numerous biogas micro-plants are being installed in villages. 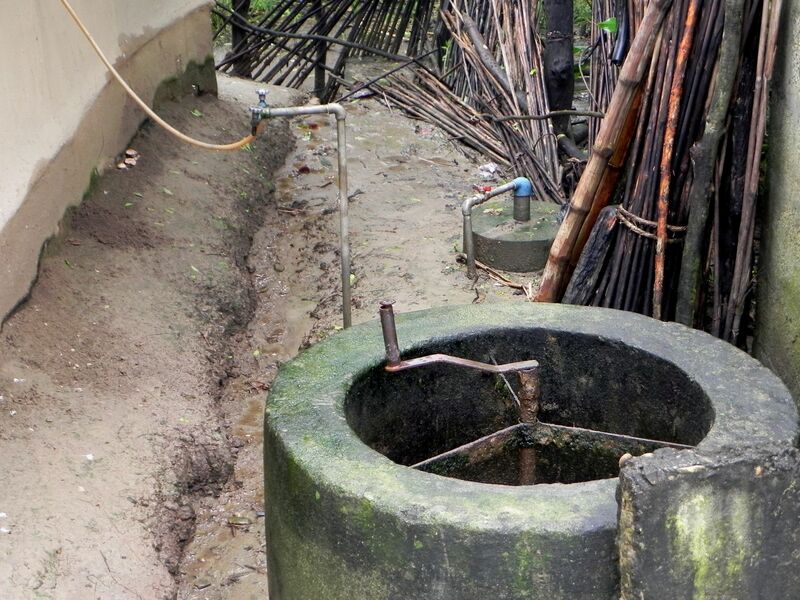 In a simple graphic description, these are “toiled-attached-local-methane-factories-run-by-microbes”. More practical description - in an underground tank, (so-called “digester”) an organic matter mixed with water is being decomposed by an army of bacteria into a smokeless fuel used for lighting and cooking. 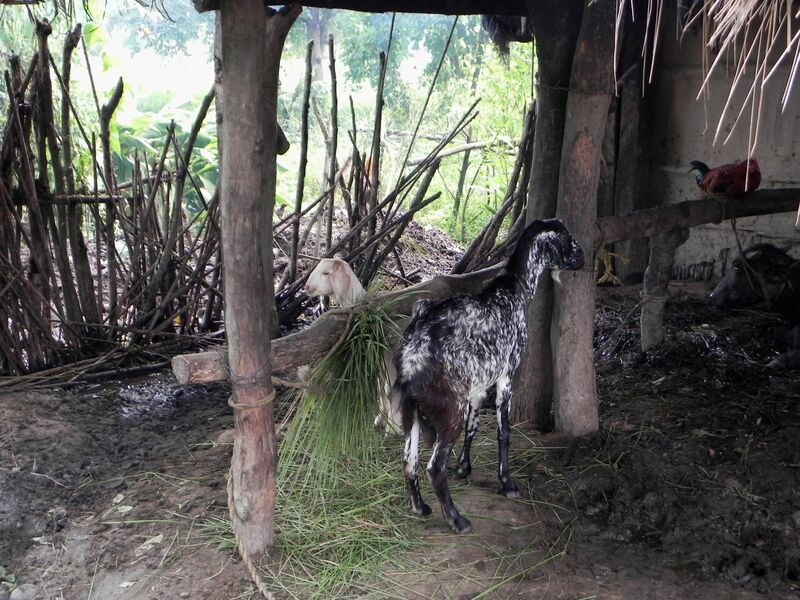 Usually the “organic matter” is a combination of human waste, animal dung and plants. Leftovers of this biological process are farther re-used as land's fertilizer. To operate efficiently these mini-factories need warm climate – obviously not in shortage on this side of the Himalayan Range. Yes, it took some time for the idea to be accepted by the villagers. At first they were considering that such fuel is “dirty” and cannot be used around the house, especially for cooking. But time usually works in favor of changes making human life easier and us - human beings better adapted to the harsh reality of everyday’s life. That is part of the continuous evolution process. The project took roots. 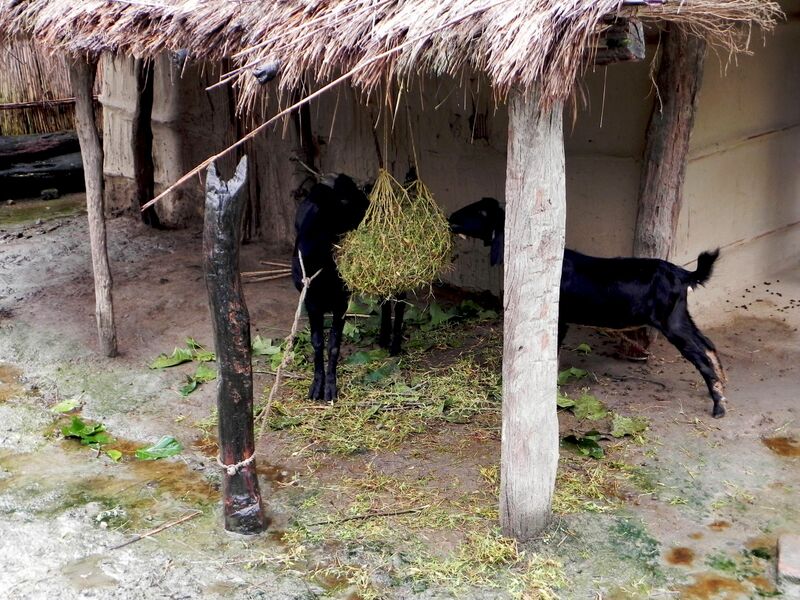 These days you can see stalls being installed next to the houses so that cattle can be tended and fed in a dedicated place and their manure directly channeled to the biogas plants. 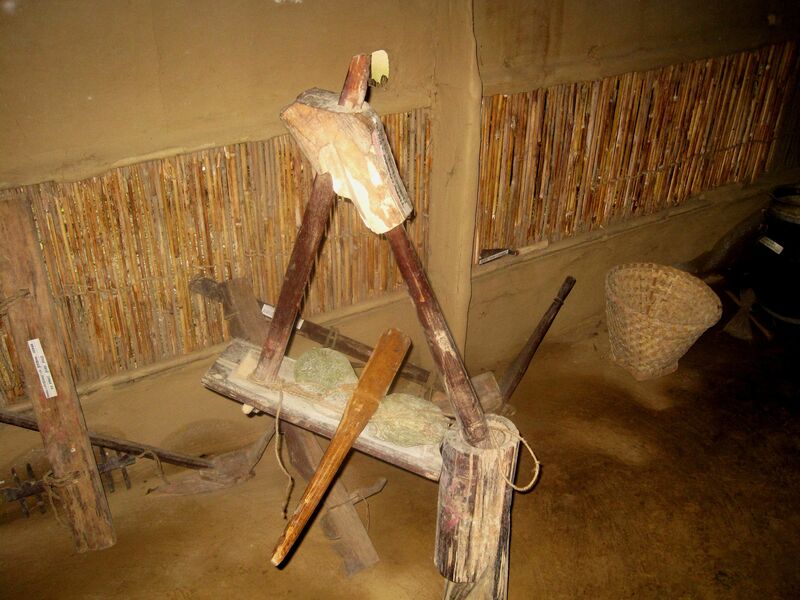 Local museum displays typical Tharus tools, pieces of kitchen stuff, some musical instruments, artefacts and other paraphernalia from their everyday lives. 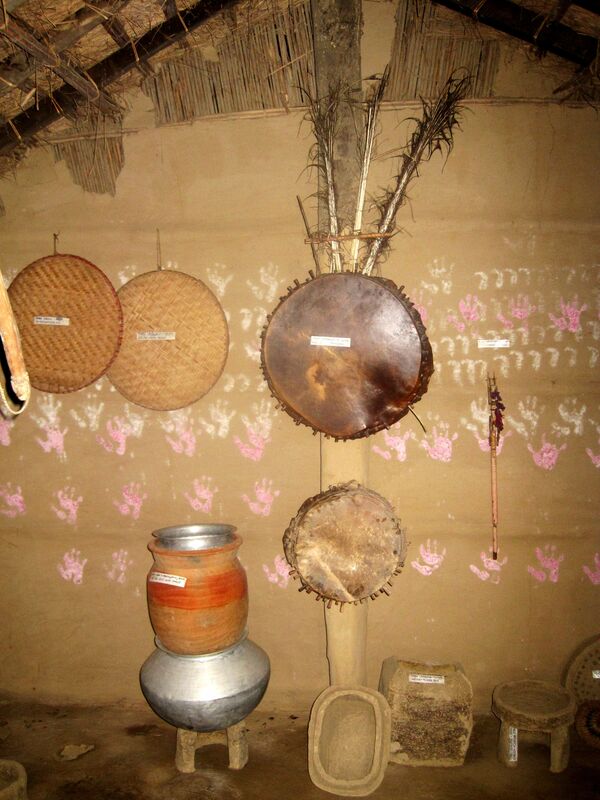 One of the village houses is converted into the little one-room museum displaying typical Tharus tools, pieces of kitchen stuff, some musical instruments, artefacts and other paraphernalia from their everyday lives. The entrance is free, but the box tactfully attached to the wall reminds those more observant and sensitive that here more than anywhere else a “little donation” is a good thing to do. Porch is a focal point of the life in the village. 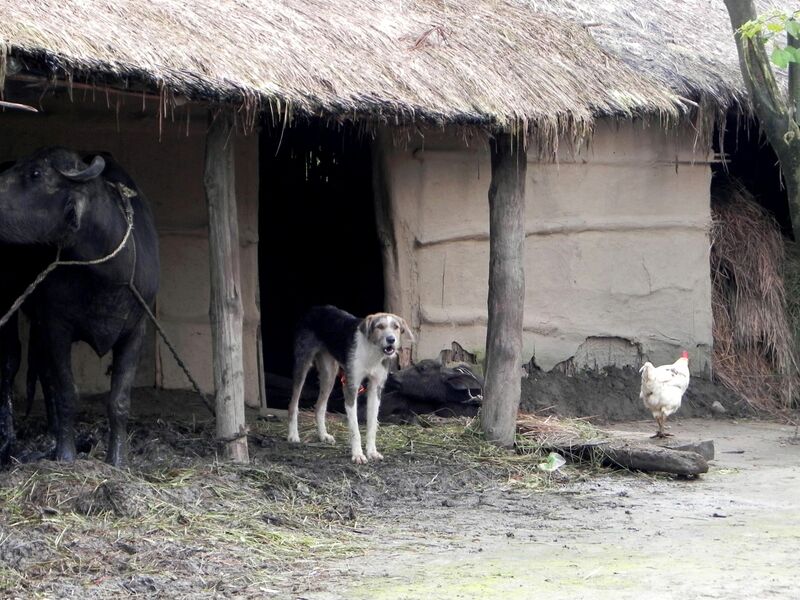 The Tharu Village is a living example of "cohabitation" of humans and domesticated animals. Please note that villagers are not on the pictures in order to prevent "privacy violation", (fortunately animals do not have such ideas :-)). It seems like one of these “win-win” situations! So much thanks to so simple invention and strong determination of those for whom it still matters! Near the village there is a local Community Center, where Tharus are making presentations of their culture in a mix of traditional dances and songs. Due to the centuries of living in isolation Tharus not only well preserved their distinctive ethnicity but also developed a very unique culture largely unaffected by the influence of nearby heavily populated India.